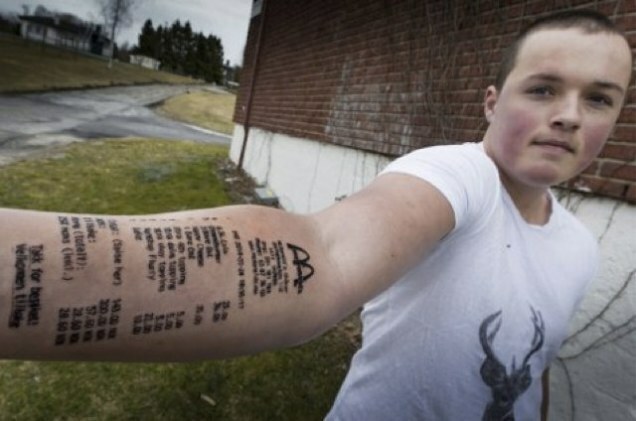 MEET 18-year-old Stian Ytterdahl of Lørenskog, Sweden. 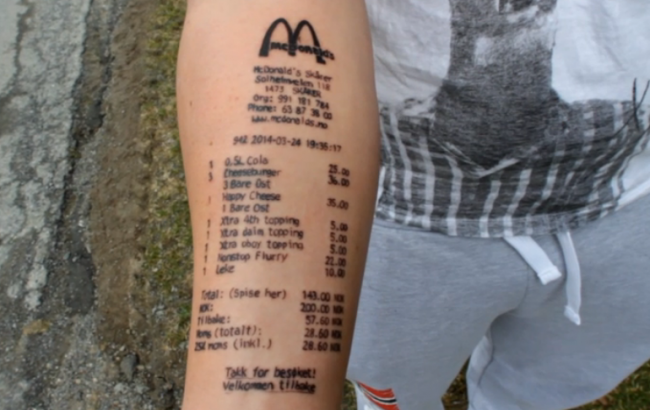 He’s got a tattoo on his arm of the entire McDonald’s menu. And you made the wrong one.